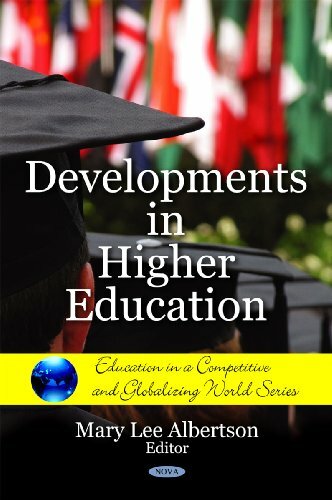 [PDF] Developments in Higher Education (Education in a Competitive and Globalizing World) | Free eBooks Download - EBOOKEE! Description: This important book presents the latest research from around the globe on the developments in higher education in areas such as interteaching, the socio-economic demand for higher education, improving visual teaching materials, online learning, anthropology of education, etc. The phenomenal expansion of higher education systems in the second half of the twentieth century has resulted in an interest in the factors influencing the decision of young people to pursue tertiary education. The demand for higher education is commonly considered to be subject to a great number of influences, the most important of which fall under the following categories of variables: social/familial, psychological/individual, economic/occupational, and structural/institutional. No comments for "[PDF] Developments in Higher Education (Education in a Competitive and Globalizing World)".